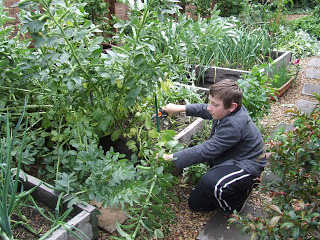 We had a great time this morning harvesting our crop of broad beans. 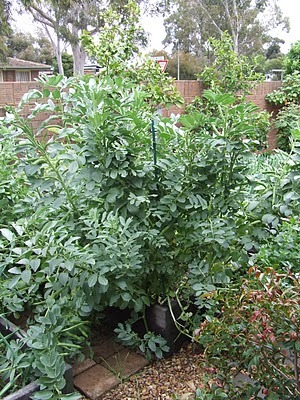 The beans grew to over 6′ tall and heavily laden with pods. I usually know when the beans are ready to pick, when they all begin to fall over and the pods are swollen. Here is a before shot of the bed. All over the place. I gave Ben my garden clippers and he managed to fell the entire bean forest (his words), and Kim and I picked the beans off the stalks and shelled them. He did a great job, and this is what was left when he was finished. Then I cleaned it up and chopped each of the stalks down to the ground. I leave the root in because the broad bean roots have nitrogen nodules that break down into the soil and act as a fertiliser for the next crop. It is known as fixing nitrogen. This is a shot of the bed all tidied up and ready for a top dress of sheep manure and compost. So how much did we harvest? 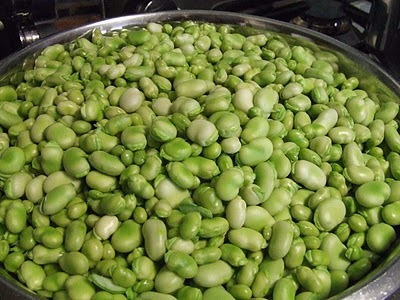 A whopping 3.6 kg (8 lbs) of Broad Beans (Fava). Last years harvest we only managed 1.8 kg (4 lbs) from the same area. The rain has been above average this season. We also saved all of the finger sized pods and are having those with our roast dinner tonight. This is before Kim had topped and tailed them ready for dinner. 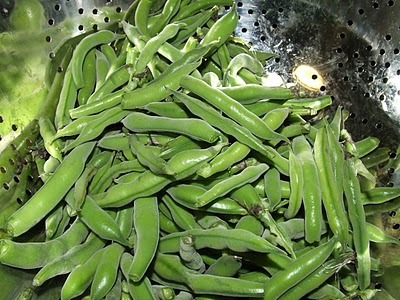 We also saved about 400 gm (14 oz) of fresh beans to be sauted in a little butter and garlic with dinner. I blanched the remainder for freezing and we have enough for soups and stews for winter. It is such a great feeling to be able to harvest a crop like this with so little effort. I think I fertilised twice over the winter with Powerfeed via the water butts, and that was it. I did not weed at all and performed no pest control. I saved 5 long stalks and kept the first 4 largest pods attached and hung them upside down in the garage. When the seeds are dry I will store them in a sealed glass jar for next season. Broad beans are just the most easiest and tastiest crop to grow over our temperate winter. 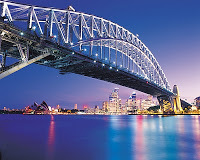 As part of the national Keep Australia Beautiful – Sustainable Cities awards, Amy (daughter 21) and I are travelling up to Canada Bay in Sydney on Monday, as part of the Melton Shire delegation representing Victoria. We are only up there for the day, flying up and back in the same day. When our council invited me, I stipulated that all the flights were to be carbon offset or I would be catching the train. As it turns out, they did pay for the offsets, so we are travelling in style I suppose. It has been a long time since I last flew. I don’t normally due to my personal values regarding a low carbon footprint, because a single medium haul flight can double your carbon emissions for the year. Anyway, wish us luck, it should be a great day and I will post photos soon. I hope we win! 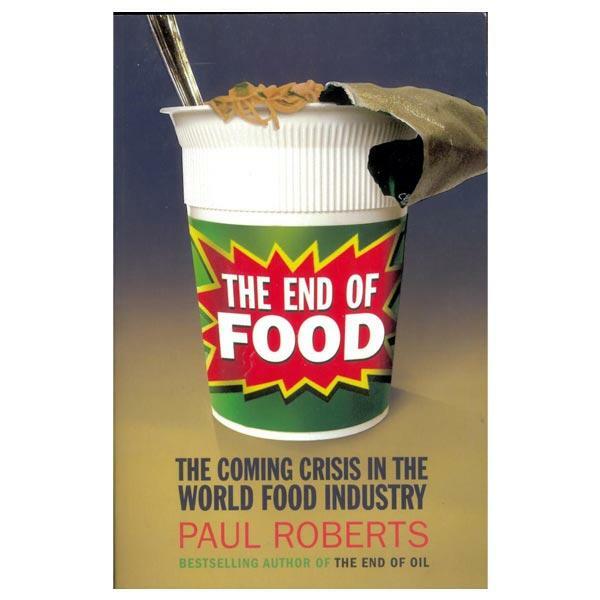 I just finished reading a very eye opening book titled, “The End Of Food – The coming crisis in the world food industry” by Paul Roberts. He also wrote “The End Of Oil”. The EOF was published in 2008 before the global financial crisis but all of the information in it still holds true to this day. It is well researched with references and many footnotes, however besides being about a subject dear to my heart, it is a very easy read as well. I did not struggle through the chapters, as each one builds upon the next in good sequence. I highly recommend this book if you can get it from your local library. Near the end of the book, Paul asks a very pertinent question, which I will try and answer from my own experience. It is in the form of a little exercise that all of you can partake in. I will add to this question. 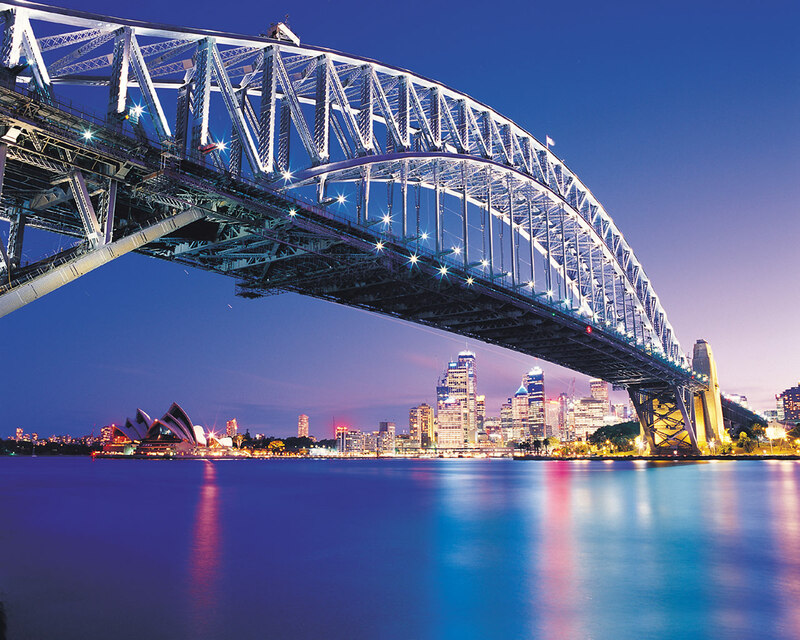 Could you cope with what you have at hand for a week, a month, two or even six months? Maybe even longer? I for one have tried this experiment first hand in my quest to eat a 160km or 100 mile diet for the first 4-5 months of this year, and even though I was successful during the summer months, I failed dismally during late autumn and early winter. At the beginning we did pretty well, however as the months drew on I was getting down to about 30% local fare especially fresh food. Maybe I didn’t try hard enough, but I believe it was simply too cold to grow anything of substance quickly and our local area is not agricultural except for the small market gardening town of Bacchus Marsh to the west of us. Around the 140 day mark we found that we were using more and more fuel and time looking for local food sources, which was kind of defeating the initial goal of lowering our food miles. But don’t bed disparaged, because we still grow and eat at an average of at least 50% of our own produce, probably more if you count the eggs from the chooks. Now I don’t have all the answers for this issue, but I have learnt a few things over the last four years. Firstly, read, read, and read. Scour you local library for all the Permaculture and organic gardening books you can lay your hands on. If you don’t have some land of your own, ask a friend or relative close by who has some and are willing to share in the profits of your hard graft. 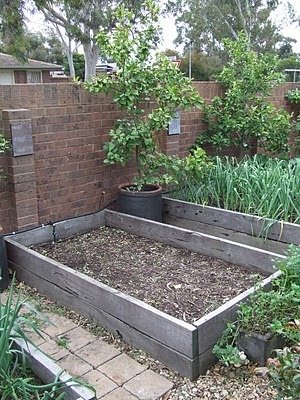 Have a listen to my podcast titled “Designing my food garden” to get a few ideas. When you think you have read enough, then just give it a go. What have you really got to loose. If you feed the soil with good compost, worm wee and castings, and mulch really well, any brown thumb will turn into a green thumb in no time. I did, and so can you! 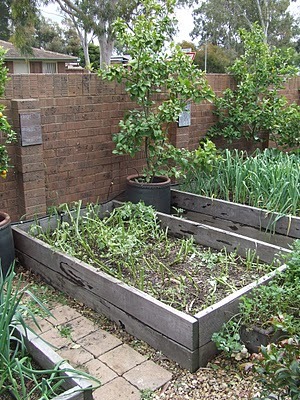 Before about March 2007, I didn’t know squat about growing my own food, but just did a lot of research and gave it a go. I didn’t know if I would be successful, but I kept trying different things and planted heirloom varieties of strange vegetables that took my fancy. Guess what? It worked, and I am still growing food. Each year, I get a little better and am able to share my experience and knowledge to others who want to learn. It is such a good feeling to dig, grow and eat your own food, and an even better feeling if you can supplement it with local fare that you have either swapped with friends and neighbours or bought from local farmers. I feel good just writing about it! Get growing, preserving and swapping. Also, if you have the space, start a small stockpile, just the essentials and local stuff like flour, pasta, tinned food and the like. You can read about what I store at home in this post simply titled “Stuff I Have Stockpiled“. It is easier than you think, and we have been saved by it quite a few times now. We just buy a little extra each week, practice good stock management so we don’t waist anything, and keep a track of things before they run low. We only buy extra stuff that we know we eat in our diet. This saves on wastage as well. I will leave you with this very thought provoking passage from the book. I know, I know, copyright and all that and for it I apologise to the author. It is just too good to not repeat here. “For thousands of years, food has mirrored society. It provided the substance and ideas that brought forth civilisation, as well as the mechanisms by which civilisation now seems to be taking itself apart. At the start of the twenty-first century, we are closer to that precipice than we have ever been, yet perhaps more capable, ultimately, of stepping away. 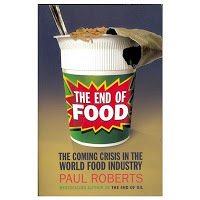 Hunger has always been an invitation to make a better world, and it remains so.” – Paul Roberts – The End of Food.